Combine black beans, red pepper, onion, corn, cilantro, green onion and carrots. Toss with salad dressing. 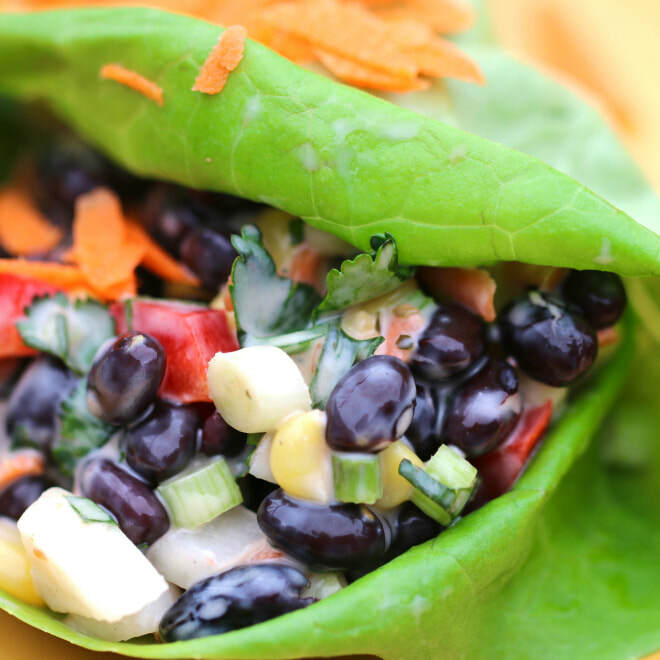 Spoon the black bean salad into lettuce cups. Top with the saved shredded carrots. *Nutrition information will vary based on the brand of Southwest Salad dressing you choose. This nutrition information does not include dressing.